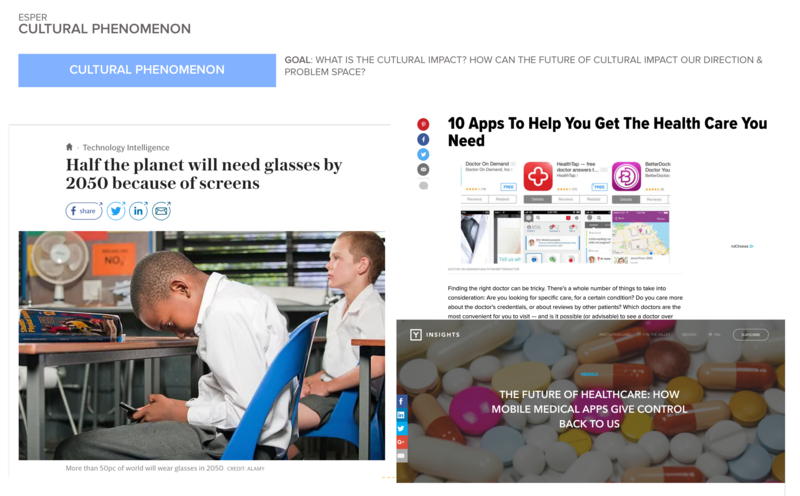 HOW CAN WE DISRUPT PEDIATRIC EYE EXAMS? An interactive in-home preliminary eye screening exam. CHILDREN ARE OUR FUTURE YET MANY ARE UNABLE TO SEE THEIRS. 1 in 4 children have an undiagnosed vision problem. For millions of children there is a large gap between the need for and access to vision care. LensCrafters' Esper is a preliminary in-home interactive eye health screening. That allows parents to screen their child's eye health in the comfort of their home through the use storytelling. 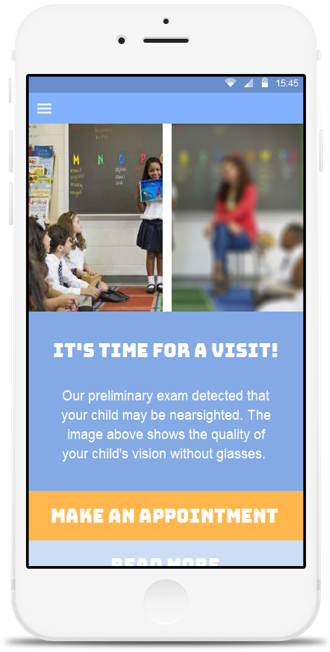 Upon completion the child's results are shown in a side-by-side simulation of how their child currently views the world in comparison to how their child's vision should be. 80% OF UNDIAGNOSED VISION ISSUES ARE AVOIDABLE THROUGH EARLY DETECTION. Esper engages the child and parent through a story world that guides the eye exam and theme of questions the child is asked to answer. The preliminary eye exam utilizes a desktop computer as the examination chart that pairs with a mobile device which acts as the remote control. 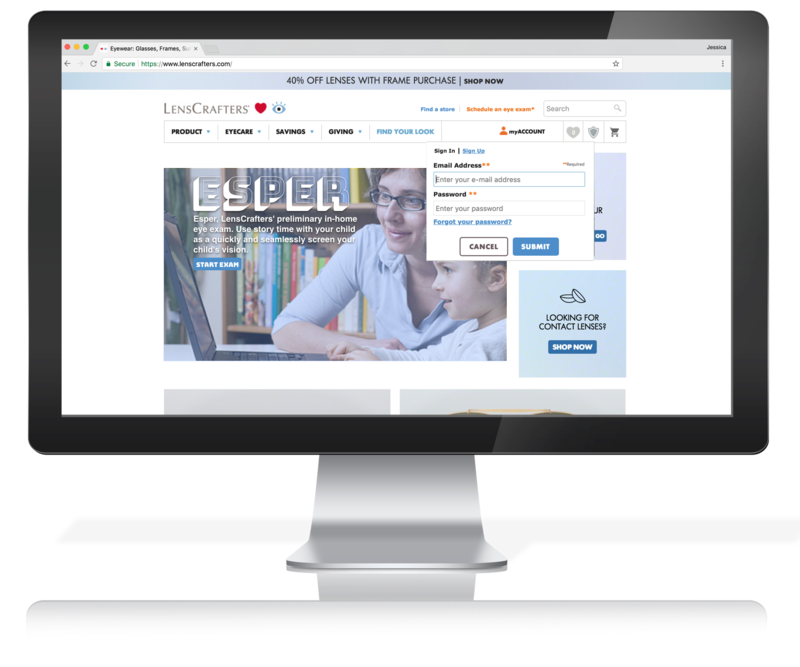 Visit the LensCrafters' website and create a free account where the full exam results will be stored, parents can create appointments and communicate with the ophthalmologist. Parents will start by adjusting the camera settings, clearing the room and determine the starting place for the child. This will all be completed before the child begins as to not interrupt the child's story time allowing them to be fully immersed in their imagination. Child chooses their adventure & story world to complete their eye exam. Just as many parents and children choose the book to be read before bed they will choose an adventure to embark on. The adventure chosen will determine the story world and theme for missions. Interactive questions dependent of the story world with be posed to the child throughout their adventure, they must answer to continue with exam and their journey. 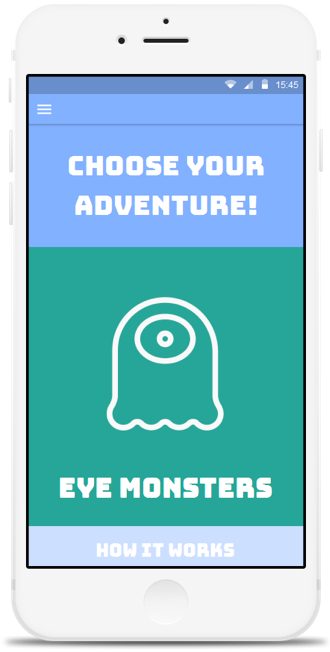 Once the adventure has ended the test results are sent to an ophthalmologist to verify. 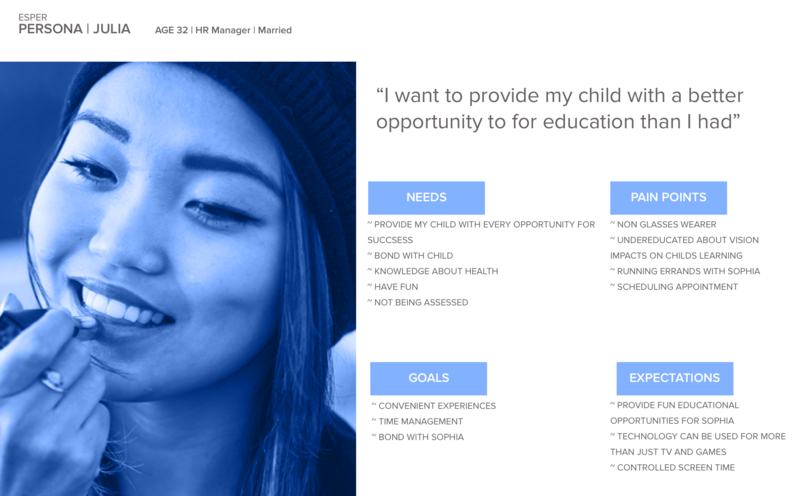 Parents will receive their results within 24 hours of completion. Utilizing LensCrafters Clarifye Technolgy parents will be shown a side by side comparison of how their child currently sees versus how they should be seeing. This call to action will encourage them to make an appointment. This will lead to an opportunity for the parent to immediately make an appointment for an eye exam at their local LensCrafters. Which in turn makes LensCrafters the initial touchpoint for parents and children in their life long journey of eye care. WHAT ABOUT THOSE WHO CAN NOT AFFORD AN APPOINTMENT OR EYE GLASSES? 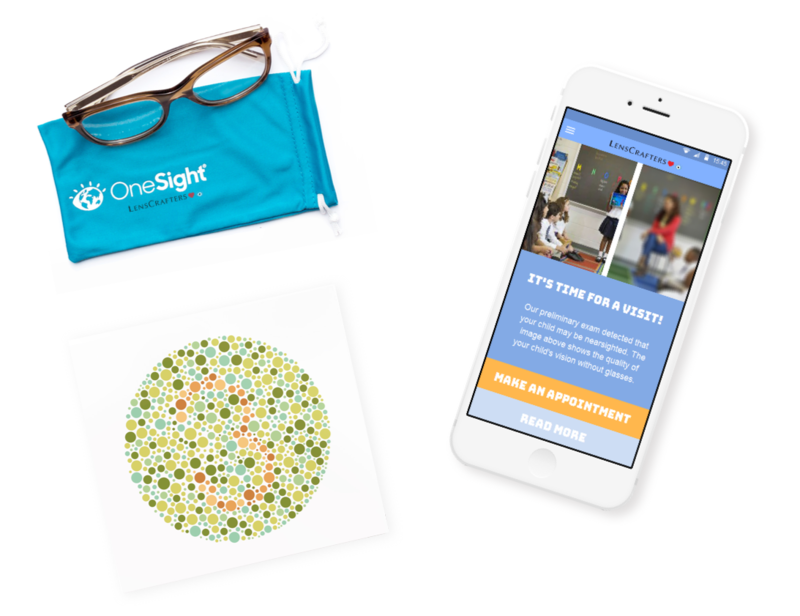 LensCrafters partners with Onesight a nonprofit committed to eradicating the global vision care crisis in our lifetime. 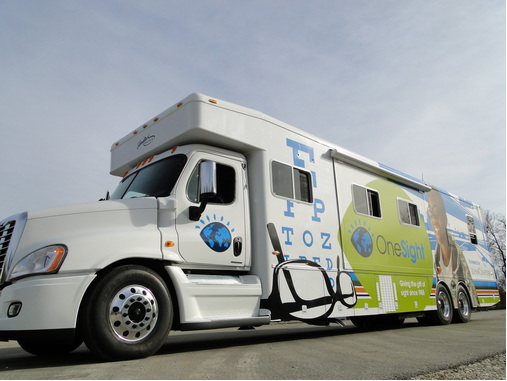 The data collected from the Esper exams can better deduce where Onesight's Vision vans travel to provide free eyewear. Exploring next steps within the process of eye exams. Ensuring to leverage as many resources as LensCrafters has to offer and following its mission. We wanted to reinforce that every child deserves to see their future. Leveraging the data collected from the Esper exam LensCrafters can determine where there are areas in need and lack access to a full eye exam and eye wear. LensCrafters can strategically send the vision vans out to these low access communities. Providing complete eye exams as well as affordable eye care. 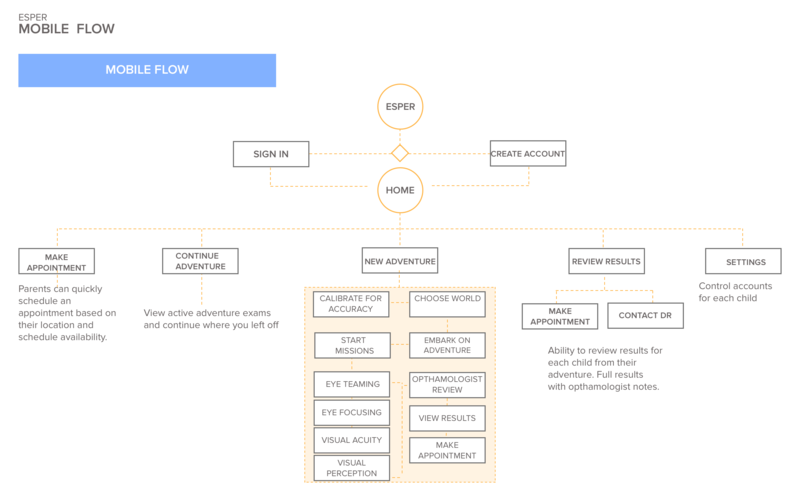 LensCrafters can use the results from the Esper preliminary exam as a starting point during the examination process. LensCrafters can use the results from the Esper preliminary exam as a starting point during the examination process. Provide children with the ability to see their future with donated glasses. 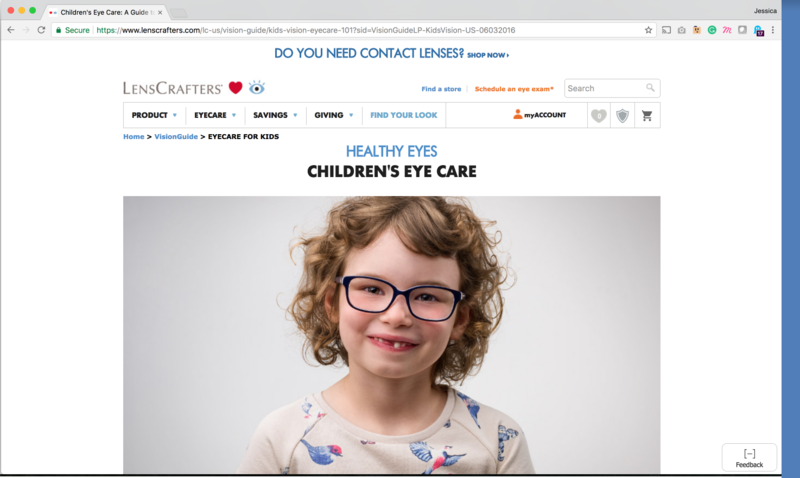 LensCrafters is ineffectively targeting parents and kids, thus not instilling themselves as the first brands kids come in contact with when diagnosed with a vision impairment. For the rest of their lives they will need annual eye exams, new prescriptions, new eye glasses, and new contacts. 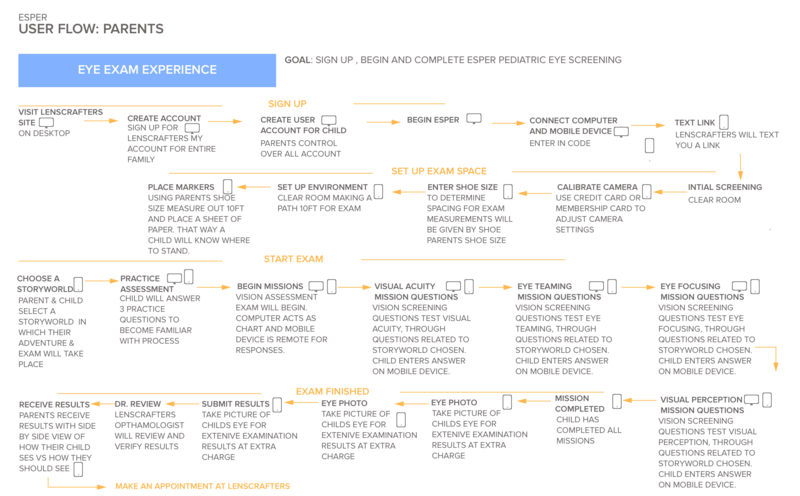 Esper alleviate stress from parents and children by utilizing technology LensCrafters currently has and combine with storytelling & play that breaks 4th wall to ensure a more positive user experience. LensCrafters currently uses digital technology innovatively to transforms eye exams, which sets them apart from other brands. With the recent decrease in funding for eye exams within public schools and the limited accessibility immense. 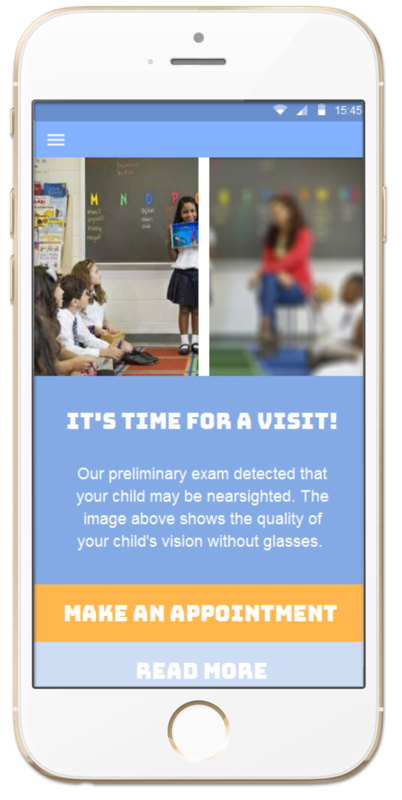 My team and I became passionate about providing accessible & easy to complete eye exams that parents could perform in the home and even teachers could use within the classroom. Using human centered design to facilitate bonding experiences between parents and children while allowing children to exercise their imagination & bring their parents along for the ride. My team and I started with the challenge get LensCrafters to sell more glasses. With that problem space being completely open. My team and I wanted to decide a niche sustainable problem space that LensCrafters can have positive affect that solves a true problem for its customers. 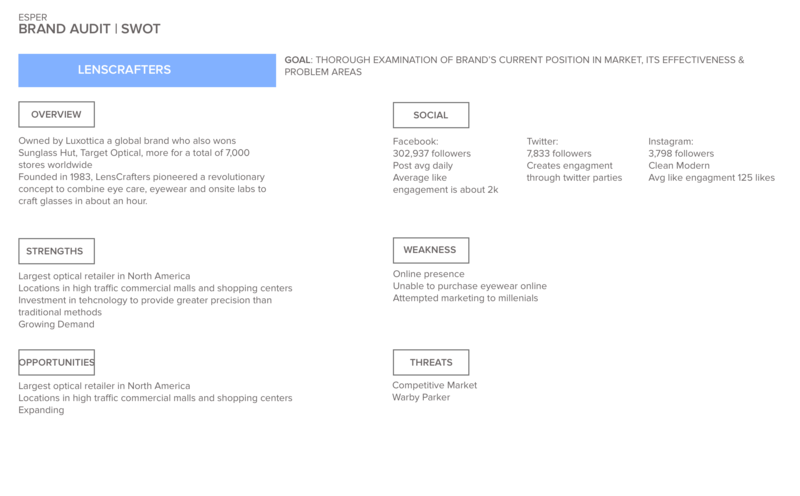 Similarly to every project I begin by completing research on the brand from various resources all in attempts to understand who they are as a brand, how they portray themselves and how customers see them. LensCrafters is a brand that has not yet established its place amongst the Warby Parkers & Zenni Opticals. Throughout its digital presence LensCrafters is attempting to attract too many different consumer base the website is targeting parents & families while Twitter and Instagram and geared towards millennials and Facebook is a general audience. With them stretching themselves so thin they can't be targeting one audience base well. This lead my team to understand LensCrafters is one of the few brands focusing on families and has so many locations which makes it a convenient choice for parents. HOW DO PARENTS USE LENSCRAFTERS? By conducting extensive literature review, we found out that most parents have inadequate information about when to how to effectively protect their children's vision. Struggle to annually have their child's vision checked. Every child needs the following for effective reading & learning Visual acuity, Eye Focusing, Eye Tracking, Eye Teaming. Collaborative white boarding session that allowed our group to narrow down our problem space topic and possible executions. We started by listing our own problems with glasses to have a starting point of problem areas. We decided to go with a quantity over quality approach to create as many thought starters as possible and to release our biases. I often reflect on culture to validate whether or not the the problem can have cultural impact and if there are any experiences that could reinforce the solution. Once my team and I understood the current situation for LensCrafters and our chosen problem space. We then needed to have a better understanding of who we were designing for; what their needs, expectations, and pain points were. CAN PARENTS USE THE CURRENT SITE? 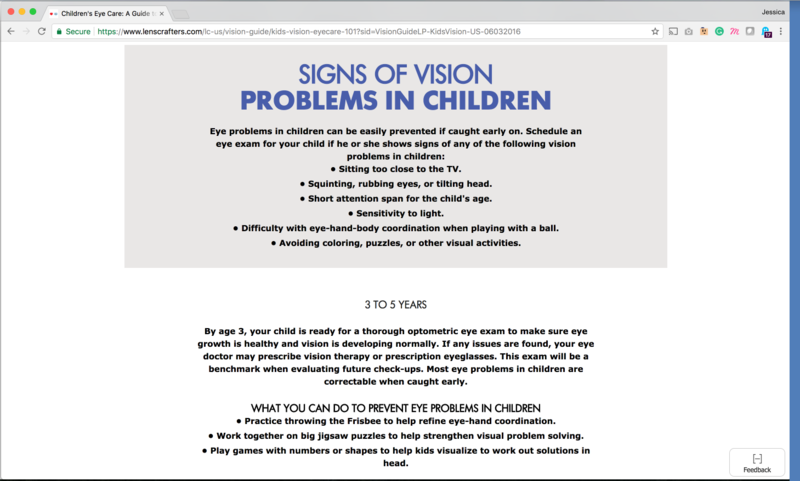 I created a usability test to evaluate parents abilities to navigate the LensCrafters website to find the pertinent information to help them understand pediatric eye health and to make appointments. All in attempts to determine various pain points for parents. I used the pain points gathered from this as part of my discussion guide for interviews. I conducted interviews with parents, children who wear glasses, and varied demographic adults who wear glasses to better understand the time they learned they needed glasses. 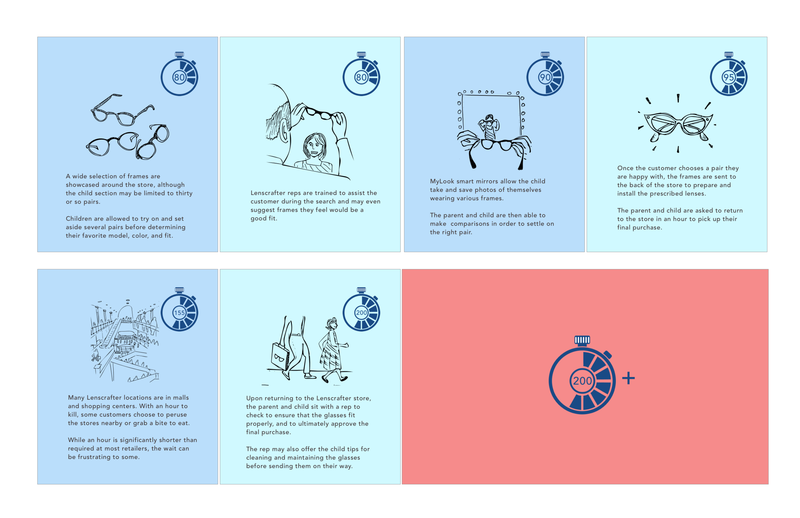 We generated two personas from the insights gathered from the interviews. One for a parent who is a non glasses wearer and a child who is having trouble seeing. From user interviews and user research we developed two thorough personas that we could reference as we gut checked our product development. 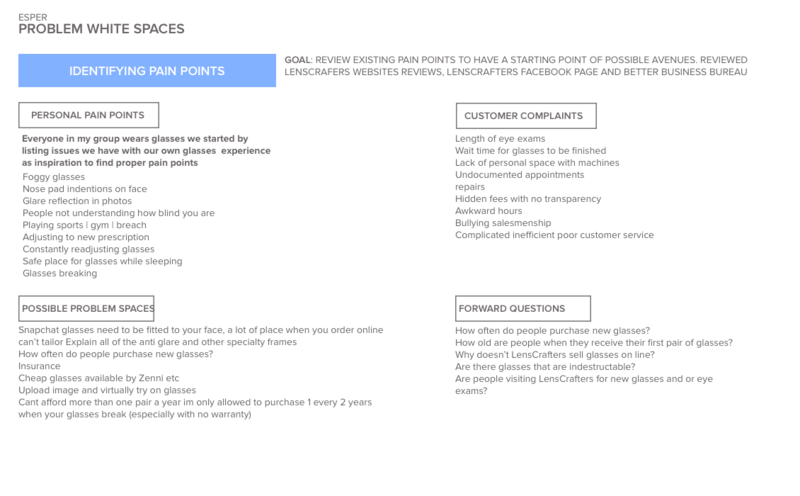 WHAT ARE LENSCRAFTERS STAKEHOLDERS GOALS? 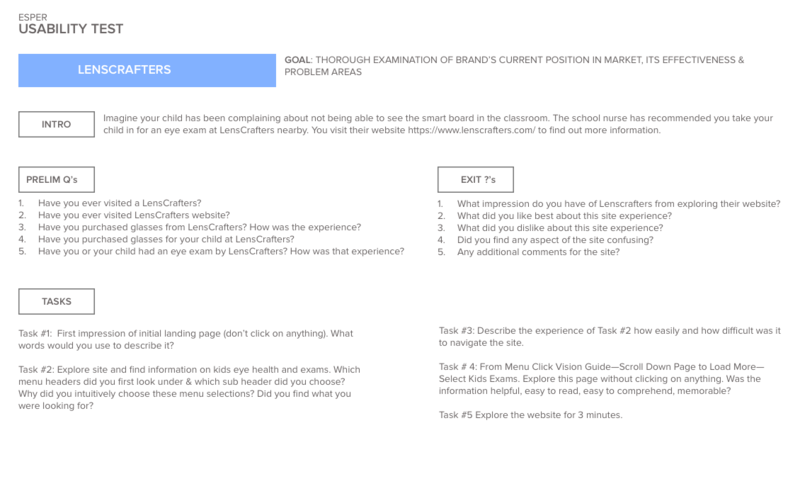 Evaluate LensCrafter's opportunities, strengths, weaknesses and inconsistencies to help determine what the proper problem LensCrafters can solve for its customers. Also determine a sustainable niche market LensCrafters can infiltrate. 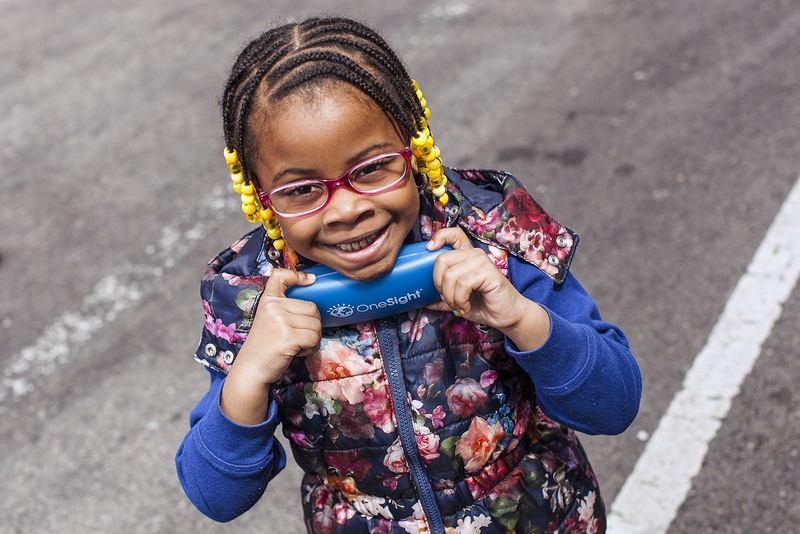 Develop a dual technology that can be used for both LensCrafters and its philanthropic effort Onesight. establish themselves early on within a childs vision impairment journey. scalable to be adopted for other sub-brands within Luxotica family. We surveyed the sparse landscape of online eye exam applications. The most reputable was, Opternative. Our team took the exam and completed an heuristic analysis. This gave us a more in depth understanding of the capabilities of an online eye exam, features that we would need to incorporate for accuracy in examination as well as steps we could remove for the purpose of our preliminary exam. 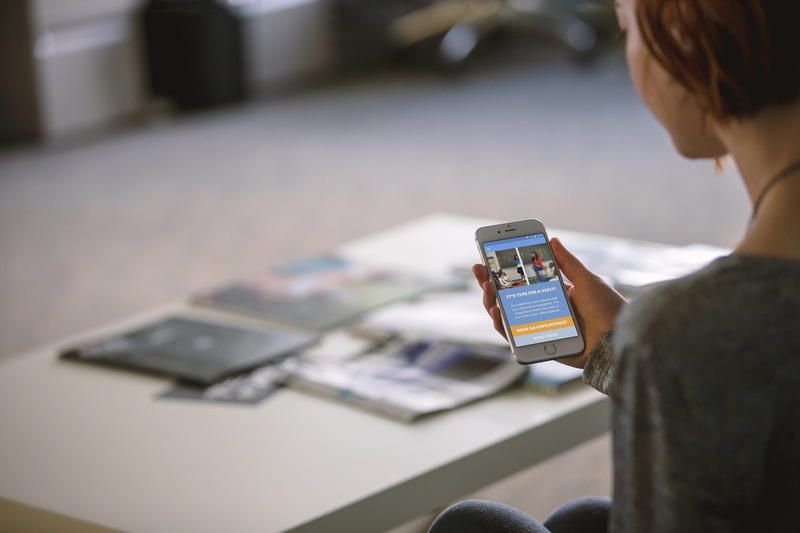 Our design objectives were directly influenced by our user interviews & research. Majorly highlighting pain points of parents and expectations children have. convenience, fun & interactivity. control Wanted to make it active & participatory for both parent & child. 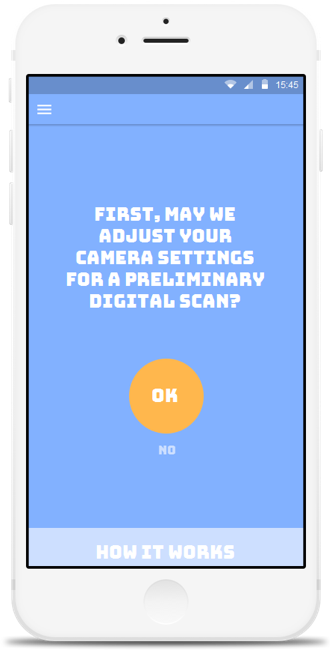 Develop story worlds & cannons that lend themselves to eye exam assessments. 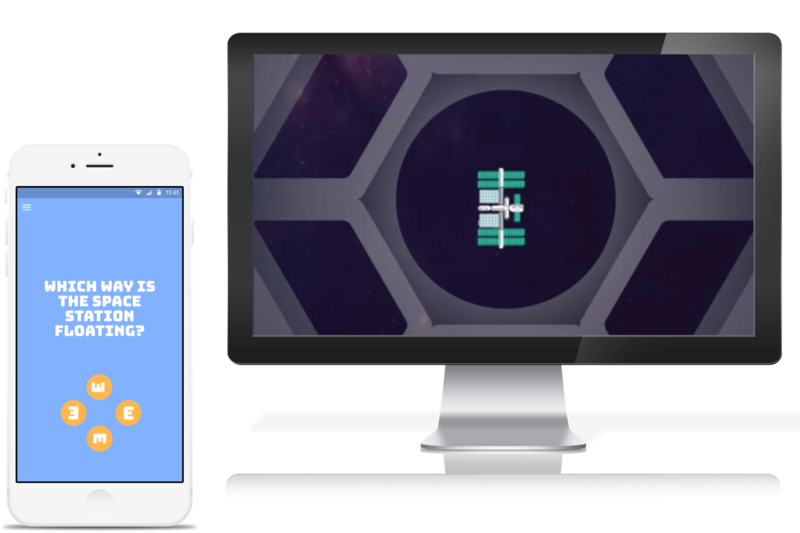 Design an accessible and interactive product that stays true to: encourages imagination storytelling fun under 20 minute experience not assessing children making them task oriented or scoring points not app to download. WHAT DO WE WANT TO DESIGN? 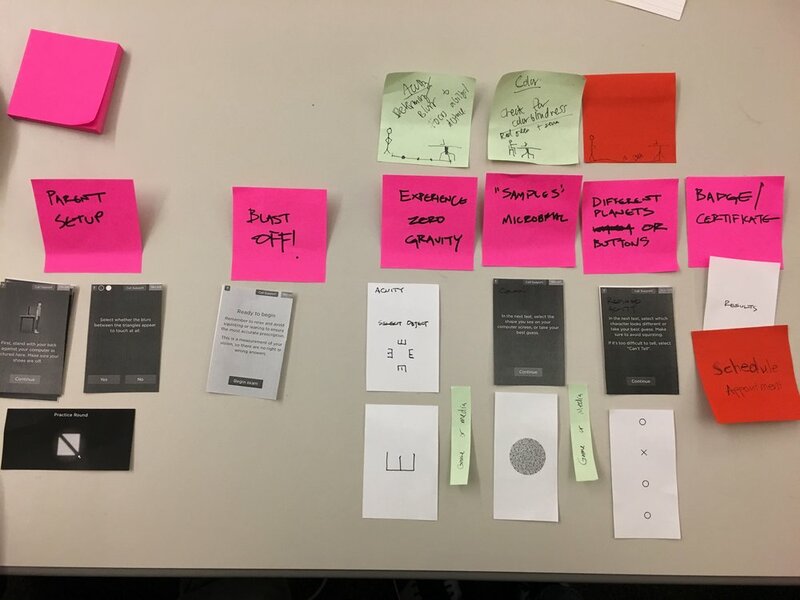 Our team conducted a time constrained design sprint to explore possible user journeys, flows, designs and story worlds. WHAT IS THE USER'S FEEDBACK? 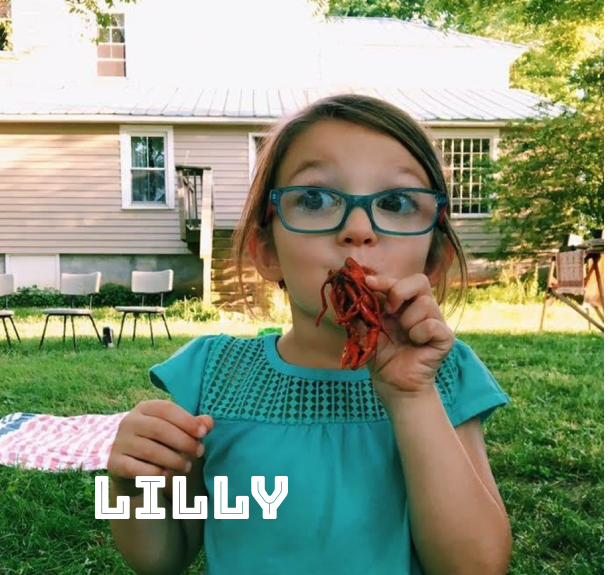 After lovable Lilly finished her story -telling and interview she checked out Esper and gave feedback. She validated our insight that children can create & be come encompassed in a story world through imagination. 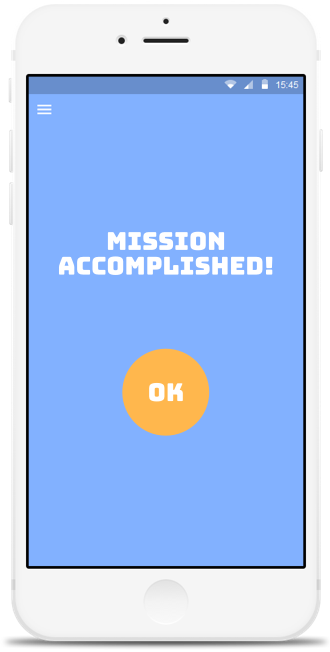 We made a few changes to the UI to better align with children's hand sizes. HOW WILL THE PARENT USE ESPER? 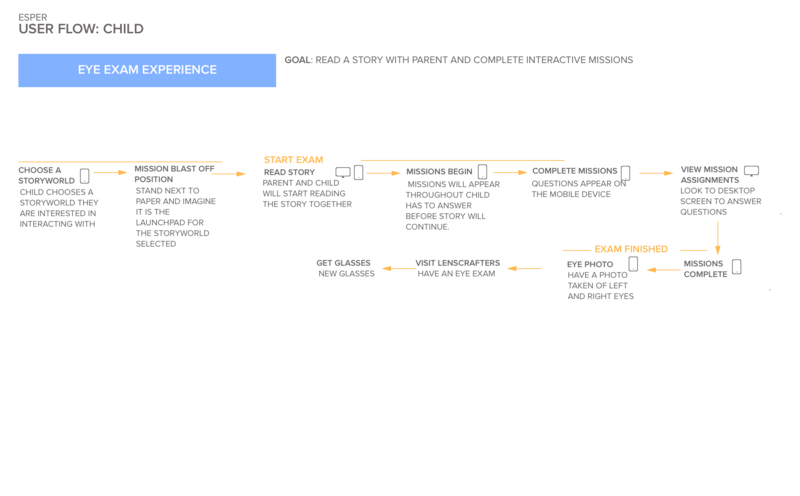 This experience has a delicate balance of what the parent is responsible for and what the child has control over Integrate storytelling to as much of the experience as possible (ie have the child stand on the small moon rock as their starting point). LensCrafters can be the test store for the experience, if successful can be scaled to more Luxottica owned brands. HOW WILL CHILDREN USE ESPER? 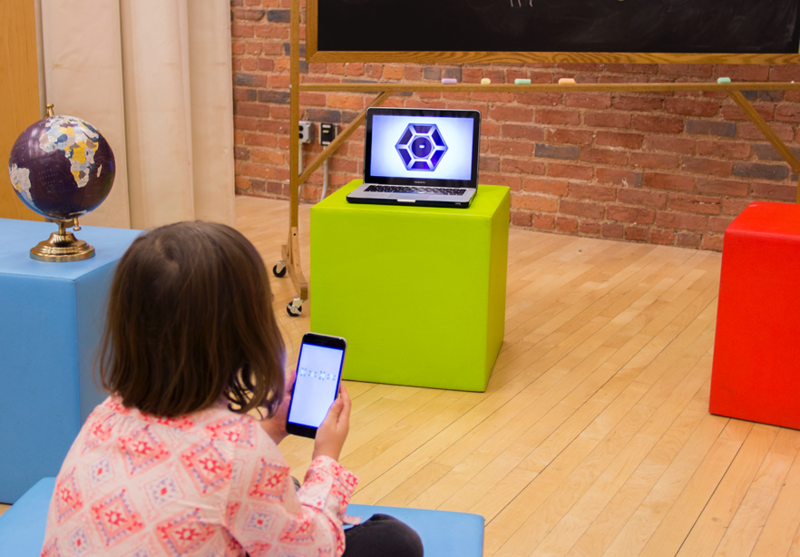 Our final user journey was highly influenced by the feedback we received throughout our user testing with parents and children. Ensured to keep the child within the story cannon and not break free until the test has been completed.